Now that Summer is well underway, we have been itching to fire up the grill and have ourselves a little BBQ party. I just love BBQs' (but really, who doesn't? ), they are THE easiest gathering to plan and provide you with the ultimate comfort food! Today, I'm sharing 5 BBQ hacks with you so you can have an even better BBQ season! We had to put our grilling desires on the back-burner last week while we moved and got settled in our new place, but once we unpacked the last of our boxes we couldn't think of a better way to celebrate then with a cozy BBQ on our deck! Our BBQ was pure bliss! And a well earned reward after two non-stop days of unpacking (by myself I must add-since the hubby was out of town on business). The girls were quite content with their sliders, S'mores, and parfaits-it was all pretty messy but oh so delicious! I, on the other hand, enjoyed a huge Jalapeno Guacamole Bun-less burger (I have yet to master the art of eating them without making a huge mess). Regardless, it was incredibly satisfying! I think any adult in the history of time has gone to a BBQ party and realized that they've underestimated their ability to stay clean and need back-up! Having wet wipes handy is kind of a must for adults at BBQs & picnics! I love the New Kleenex® Wet Wipes Gentle Clean (24 ct) because they are so soft and gentle on your skin yet super thick and effective at removing all the messes that arise! 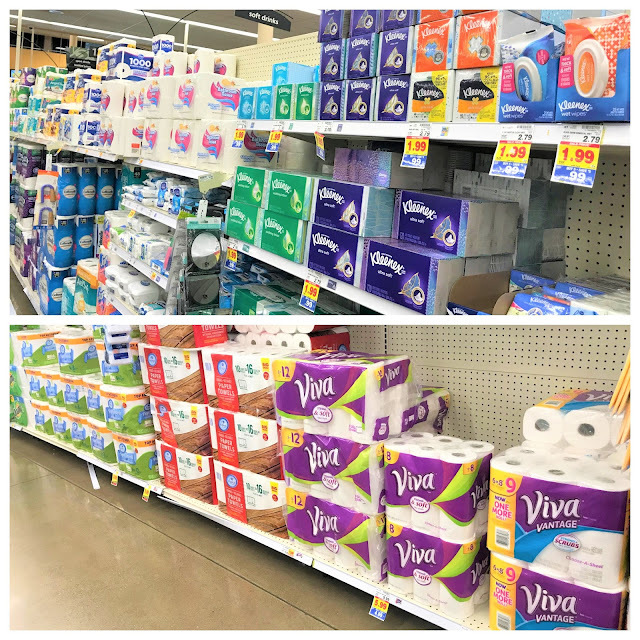 Side note: I'm also fully stocked on VIVA® Vantage® Big Roll Paper Towels (6pk), because when you're not consuming bread at BBQs everything's a finger food and life gets infinitely messier! BBQ messes are no match for VIVA® cloth-like towels! One way to spruce up your picnic or BBQ is to place your condiments in shot glasses. This eliminates the eyesores from the table and allows you to pack on more delicious food on the table. How cute are these glitter shot glasses? My next hack is for those with stubborn grime on their grill. As gross as that may sound, it's a common phenomenon in the grilling world. Luckily it has a very simple solution: start by heating up the grill and then rubbing a half cut onion on it (cut side down). This quickly loosens up and removes any grime that's accumulated on it. Since your grill stays warm long after you're done cooking, you can take advantage of the heat by making S'mores. Simply place aluminum foil on the grids and layer the crackers, chocolate, and marshmallows, while you enjoy your guests and wait for the dessert to get warm. My last hack helps give you a more even heat distribution in your meat so that you don't end up with a burger that's still raw in the center. All you need to do to fix this is make the burger a tad thinner at the center and thicker at the edges. This gives you a flat burger when it's cooked (since burgers plump when they're cooked). Now, it's your turn! What are some of your tried & true BBQ HACKS? 1. Start by shaping your meat patty so that it is thinner in the center than the edges. 2. Next, sprinkle your favorite seasonings on it. 3. Throw it on the grill along with a whole Jalapeno and wait for them to be fully cooked. 4. In the meantime, you can whip up the guacamole. Put your avocado in a bowl and mash it up, then add in the tomato, onion, cilantro, lemon juice and salt and mix thoroughly. 5. Once the meat is thoroughly cooked, place a slice of cheese on top and plate it on your lettuce. 6. Slice the jalapeno and layer it onto your burger and add your favorite condiments and enjoy! 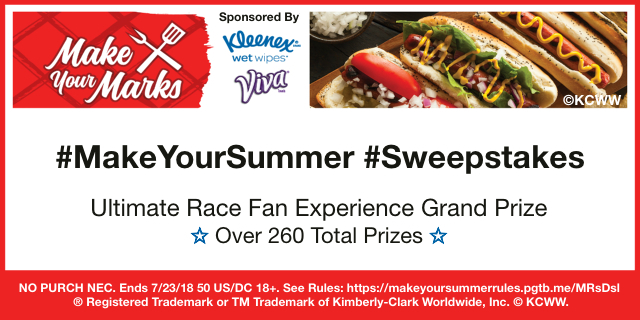 If you'd like to see some more unique grilling inspiration, and enter the #MakeYourSummer Sweepstakes for a chance to win a Kroger gift card or a NASCAR experience, be sure to head Here. Don't forget to keep an eye out for the New Kleenex® Wet Wipes Gentle Clean (24 ct) and VIVA® Vantage® Big Roll Paper Towels (6pk) on your next Kroger trip!